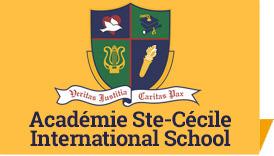 At the Elementary level, Académie Ste-Cécile International School provides a strong academic curriculum centered on the acronym STREAM (Science, Technology, Religion, Engineering, Arts and Music). 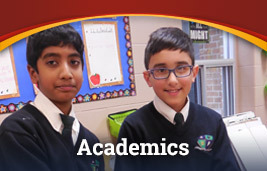 Daily classes in English, Mathematics and French form the basis for a rigorous academic program. 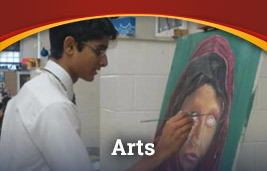 Science and Social Studies are also part of the core curriculum, which is enriched with twice-weekly classes in Computer Science, Physical Education, Vocal and Instrumental Music, Visual Art, Drama and Mandarin. Religion or Ethic classes are also part of the weekly instructional programme. 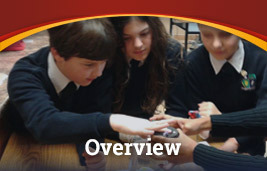 Notably, ASCIS’ dedicated computer curriculum focuses on web design, coding, robotics and keyboarding skills. 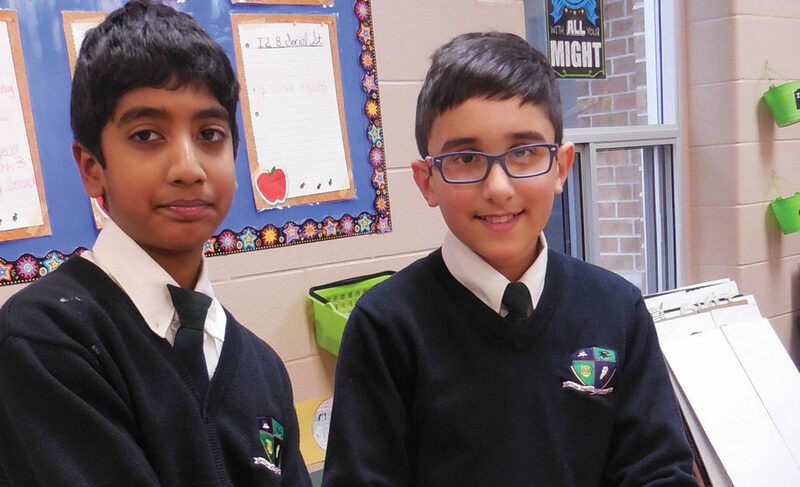 ASCIS students are supported by a strong team of highly qualified classroom teachers. 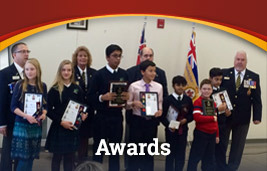 In Grades 5-8, students enjoy a full-time rotary curriculum. This means that ASCIS elementary students are taught in subject-specific classrooms by knowledgeable teachers who are experts in their subject areas. A low pupil-teacher ratio of 16 or less students per class offers students greater opportunities for direct instruction as well as leading discussions and group activities. Formal report cards are issued three times a year, and students receive further progress reports at the end of September. Students in Grades 4 to 8 also are required to write final “big tests” at the end of June. This assessment system helps ASCIS students to remain focused and on task right to the very end of the school year. 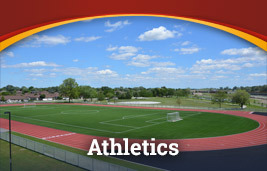 It also prepares them for final exams, which are mandatory in high school. Students write yearly standardized tests in late May. All parents are invited to meet with the principal to discuss their results, which monitor each student’s academic growth based on their age-appropriate grade level and national and regional achievement percentiles. Students who excel in individual subject areas will be given a more challenging personal curriculum. Communication and parental involvement is encouraged through the use of a daily agenda, a progress report and three separate term report cards, parent-teacher interviews, a weekly newsletter, monthly assemblies, and special scheduled events. “It is well documented that the intellectual and emotional development of children is enhanced through study of the arts. Through the study of dance, drama, music, and visual arts, students develop the ability to think creatively and critically.” The Ontario Curriculum, Grades 1-8 |The Arts, 2009 (revised). Fostering and promoting an appreciation for the arts, music and dance, ASCIS strives to provide the best instruction to students enrolled in both the elementary and secondary schools. Starting with the primary grades, music is introduced through vocal performance and movement. Students learn to follow direction, sing in ensemble keeping rhythm and learn basic music concepts which prepare them for the Grades 5-8 instrumental music classes. 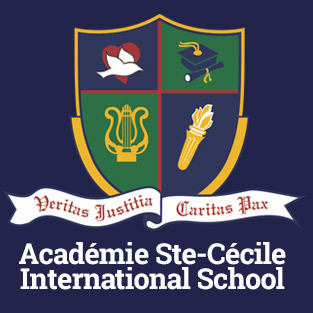 For the intermediate and senior elementary students, ASCIS offers an instrumental program where the student will learn music concepts/theory, learn skills as a performer, interpret, create, and utilize computer music and become a well rounded musician. 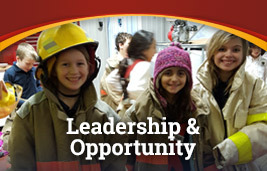 The courses will prepare students for post secondary studies. Outside of regular school hours, ASCIS offers Senior and Junior concert bands, Jazz Band, Vocal Chorus, String Ensemble, Percussion Ensemble and Liturgy group, the first of which regularly performs in adjudicated competitions outside of Windsor. The Junior choir (grades 3 and 4) takes part in the annual Kiwanis Music Festival and this year the Senior choir was part of Music Express’s “The Wonder of Christmas”. As well, a culminating end-of –the-year concert involving the entire JK through 12 student population takes place at the Capitol Theatre each May. Our music classes offer new technologies in music, facilitating the programming of original works or repertoire, using samples, using notation and recording software. This work takes place in the keyboard lab area where 10 work stations are used to teach piano skills and synthesizer programming/sequencing. This activity links with cross-curricular media studies. ASCIS offers the future to new musicians and artists. Drama plays a valuable role in helping our students achieve their potential as learners and members of society. Education in Dramatic Arts is essential to the student’s social, physical, emotional, and intellectual growth and well being. It paves the way for students to engage and be motivated with an abundance of acting strands such as monologues, reader theatre and improvisation. The active participants in drama learn about some of the diverse practices in both a traditional and contemporary approach to the performing arts. Drama students will experience performance arts in the form of concerts and presentations of a diverse nature. 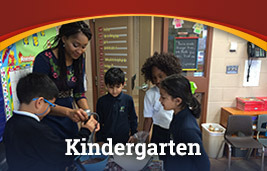 Students learn to embrace imaginative and innovative thoughts and actions as they communicate and represent their feelings in numerous, creative ways globally. ASCIS’s strong pursuit in dramatic art also includes a yearly musical featuring the elementary drama and music students. Recent productions have included the Lion King and Beauty and the Beast. This year the students will be presenting Oliver. Students audition early in the school year and rehearsal start as early as November for the June presentation.